Welp, it’s happening, ESPN is actually excited about covering video games and we’re pretty much at the cusp of video games becoming the ultimate main stream media. Ten years ago this was a dream for a lot of us in the gaming world. What if we were like Korea and our primetime television was UT2004? 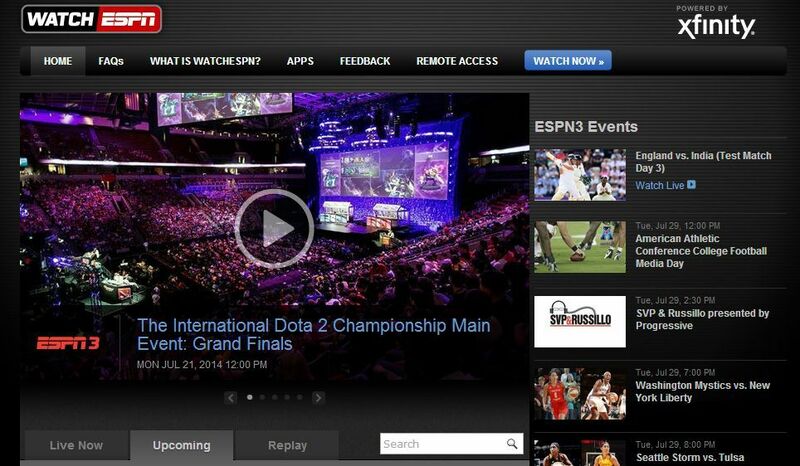 Well, 10 years later it’s here, and ESPN is ready to embrace “esports” as some legitimate sporting entity. Which is great, but what does this mean for gaming? Well, to be honest, I don’t know. Any time you take a past time and turn it into some kind of national thing, either one of two things happens. It’s accepted by society and it integrates, or it forms a bubble where people froth at the mouth for six months to a year then all is forgotten. I’m going to discount the second option, since people are going to play games and there is going to always be an interest in gaming. Let’s talk about the first. Let’s say that ESPN starts streaming games live on primetime television. Well, here’s what’s going to happen. First, people are going to understand gaming a lot more, because many of the major sporting venues (bars, etc.) are going to be shoving this in people’s faces. In addition, video game betting is going to become much more serious and we’re going to start seeing the ugly head of regulation come about. Because, see, in sports the whole point of making it “fair” is because it’s important, if not critical, that it’s fair in order for the betting system to work out (the major draw of professional sports). If I bet on a game and a cheat or exploit is used, or something that’s not “fair” comes into play, then well my money is wasted and if not wasted, I’m going to gain some of those ill-gotten gains you hear about. It’s a problem - a big problem, and with a physical sport there isn’t very many ways to cheat the system, outside of drugs or paying people off. Which is fun to think about with video games, because there is just so many factors when it comes to how things are done. In American football, people throw a ball around and everyone watches. In a video game, everything is obfuscated and all about a single point of view. We don’t usually see the damages, the numbers, and there is the whole thing about lag. Major events work incredibly hard to make sure there isn’t any lag at all, even with the software running and everything. I imagine we’ll see a new industry show up, video game auditors. People paid by leagues and the such to investigate and check to see if everything is up to par. Not that major eSports aren’t audited now, but they’re done usually by event staff who are setting everything up, but I imagine some third-party non-biased organization will take over everything. I don’t know, it’s going to be fun, and I think really good for the industry, even for MMOs. Even though very few MMOs are even in the running for the label of “eSport,” the more massively multiplayer online games get out in the mainstream, the more attention to our niche of MMOs with persistent worlds and super fun social enviroments. Could ya imagine watching WildStar on T.V.? Think on that one. Next Respawn we might, no promises, hear me drown on about how dumb early access is and why games like Broforce are dying on the vine because the attention is off of it and there is so very little incentive beyond trying to push the game to sell during a Steam sell for them to continue updating it. Maybe we will talk about it, maybe.